This is a film can. You don’t see them around much anymore. What fascinates me is its provenance – Laboratoires Cinematographique was one of the major French film laboratories located just outside of Paris. Opened in 1908 the first films by the Eclair company, the third major French studio after Gaumont and Pathe, were shot there and some of the directors who worked on their stages included Maurice Tourneur and Victorin Jasset. Among the films shot on this lot were: La Grande Illusion (Renoir) Le Locataire (Polanski) and Asterix & Obelix: Mission Cleaopatra. 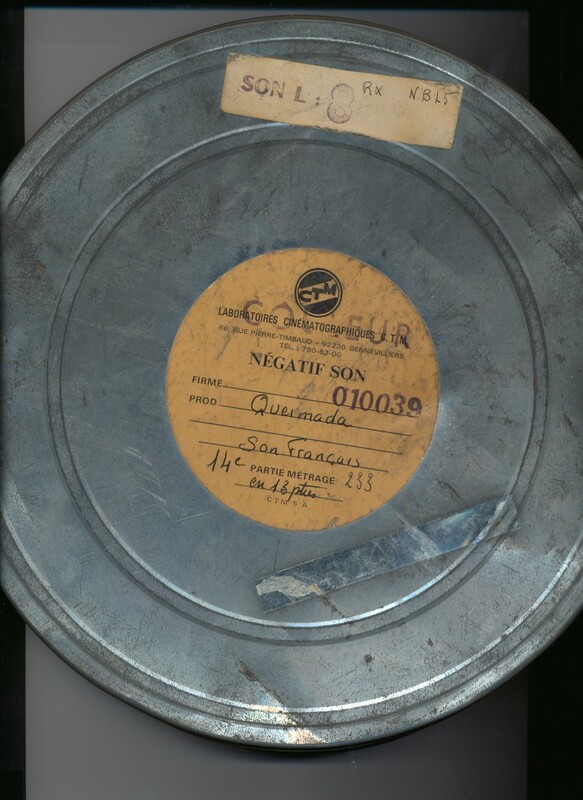 Today they specialize in the restoration and digitization of old nitrate films which are not only turning to dust but can also explode (it’s nitrate like nitro-glycerin) if mishandled. But this can — what was the film? Any good, mediocre “pas mal” as the french damn things. Did the Producer get angry with the director? The director get along well with the cameraman? Anybody still alive who worked on it? Nothing. It’s just an artifact of a different time with many lives involved with creating it, including the people at the lab and the person who designed the label. And how did it end up in a stack of my film from a laboratory in New York? This entry was posted on Monday, September 19th, 2011 at 6:04 am. It is filed under the BLOG. You can follow any responses to this entry through the RSS 2.0 feed.